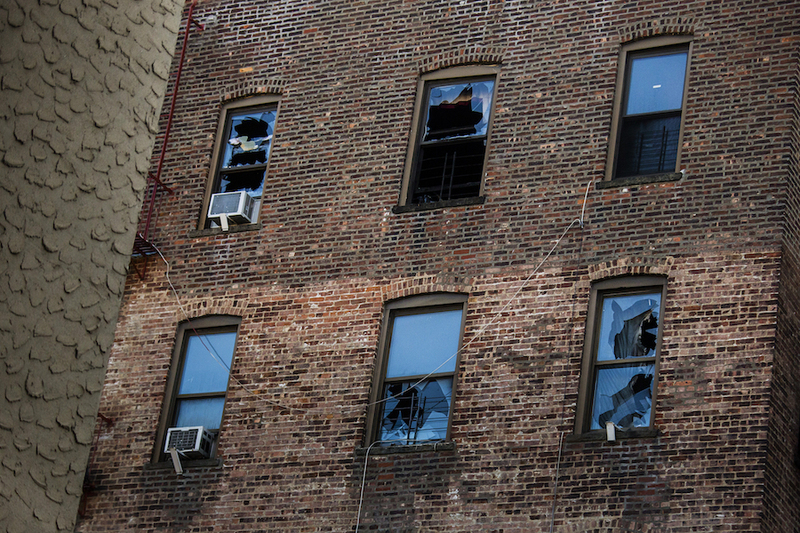 BRONX, N.Y. (CN) – After a massive fire killed 13 in the Bronx last month, survivors and relatives of some of the victims set the stage in court Friday for what could be a $200 million lawsuit against New York City. 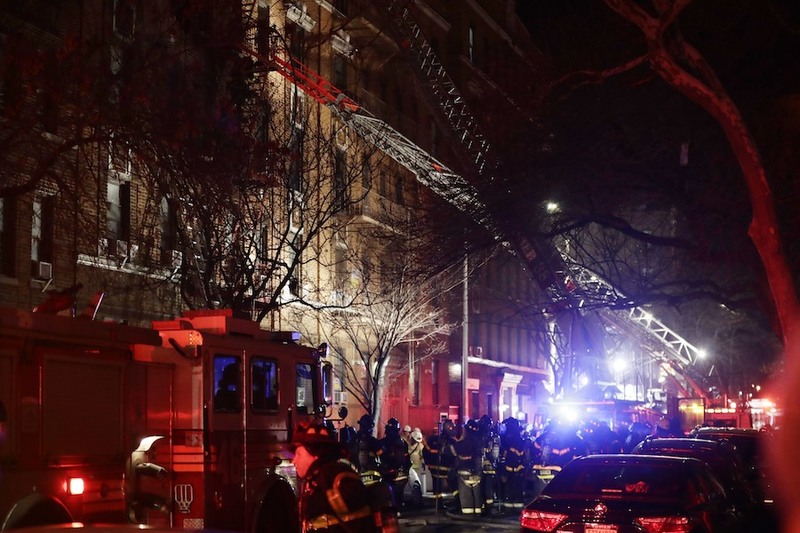 One of the worst to hit New York City in decades, the fire at 2363 Prospect Avenue was started at around 6:15 p.m. on Dec. 28 by a 3-year-old boy, playing with the burners on a gas stove. The boy and his mother fled as flames engulfed the kitchen of the family’s first-floor apartment, but they failed to close the door, causing the blaze to spread much more rapidly through the building. Andrene Paul, who lost a sister in the fire and three nieces, ages 2, 7 and 19, is the lead claimant in Friday’s petition, which was filed in Bronx County Supreme Court by the law firm Ronemus & Vilensky. “This is a pre-emptive strike” to preserve documents and evidence in the case, attorney Robert Vilensky said, noting in an interview Monday that an eventual lawsuit may seek damages of upwards of $200 million for deaths, property damage, and pain and suffering. Seeking an order of evidence preservation, the petition notes that the city unsealed the apartment where the fire started so that a representative of General Electric could examine and take the stove, potentially tainting evidence from the scene. Vilensky said he learned just this past weekend from the building landlord that an insurance company has taken possession of the stove, as well as other evidence. The 17-page petition sketches out several theories of liability the plaintiffs may pursue, citing numerous problems and violations with the five-story building, including a lack of working smoke detectors, as well as a failure by the city to inspect for emergency lighting and exit signs, among other features. Firefighters also lost “precious time,” according to the petition, in trying to locate operable fire hydrants when the ones nearest to the fire were frozen. As for the unnamed child believed to have started the fire, the petition says Fire Commissioner Daniel Nigro indicated that this wasn’t the first time the boy had played with the stove. “ACS has no prior involvement with this mother and this child,” Ferrero said in an email. A spokesman for the city declined to comment on the petition. Along with stories of tragedy, the fire had its share of heroes, including U.S. Army Private Emmanuel Mensah. A native of Ghana, Mensah perished after racing into the building for the third time to help fellow residents escape. The city plans to name a street after him. Excluding the fall of the Twin Towers on 9/11, last month’s fire was the worst in city history since the 1990 inferno at the Happy Land social club, which killed 87 people, also in the Bronx. StreetEasy.com describes the 26-unit building on Prospect Avenue as built in 1916. Noting that the cause of the fire has still not been officially confirmed, the petition seeks to quickly preserve evidence in the case, including building debris from the fire, gas lines, the stove, and official documents. Attorney Vilensky noted that his clients have conducted their own investigation of the fire, taking photos and videos of the charred building. “Still, there are things the city did that they shouldn’t have done,” he said, such as hiring a carting company to keep some of the debris, including the door to the apartment where the fire started.